Hey! 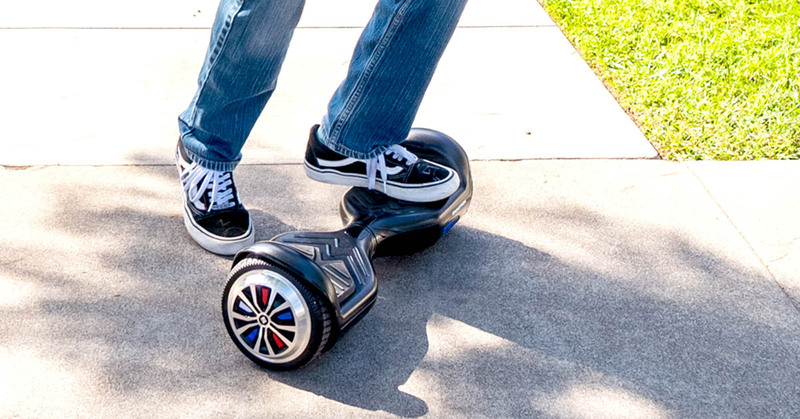 Want to star in a viral YouTube video compilation of hoverboard fails? No? Then read on! 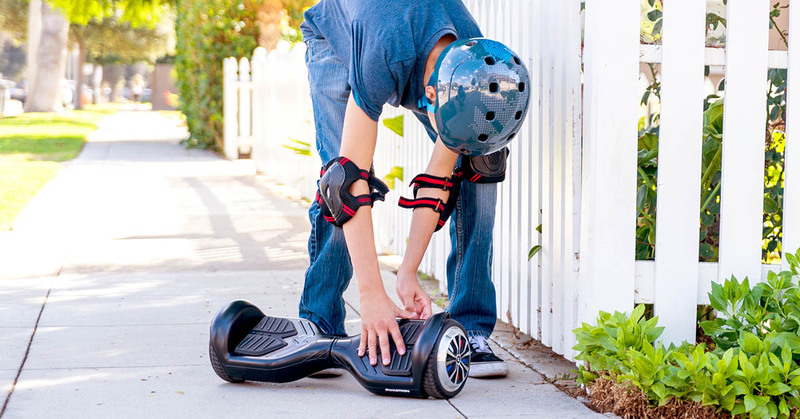 Because we have some tips on how NOT to faceplant while riding your self-balancing board, as well as how to stop and dismount without ending up spread-eagled on the pavement. 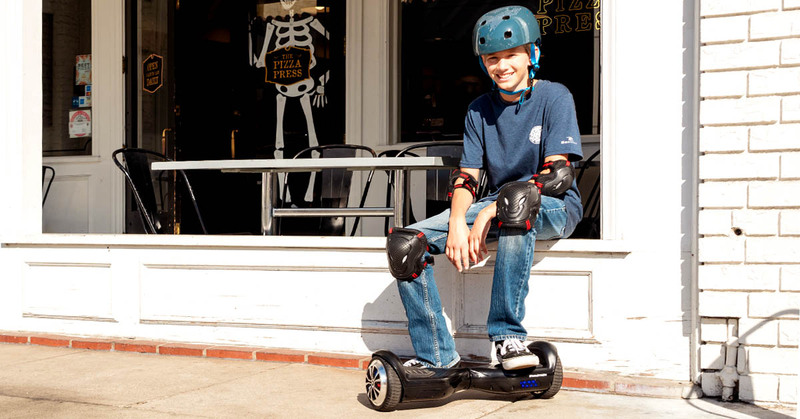 Yeah, we know there are a lot of sick tricks out there for your Swagboard. You’ll get to those in due time. Before you can get acrobatic with your board, you must be able to mount, dismount, balance, turn and stop. It’s not as easy as it looks, at first. Most people fall their first time. So be prepared to laugh at yourself a little. Learning to ride your new hoverboard takes time and practice, but in the end, you’ll persevere. In the very beginning, you’ll want to start by using your board’s training mode which will limit your speed, so you can get a feel for your board before you go all out. This will stop you from accidentally taking off at full speed before you mastered slowing down and coming to a stop. Wear the recommended protective gear. You’re not super-powered. You are susceptible to bruises. That means: ATSM-approved helmet, wrist guards, knee pads, elbow pads and a tailbone protector. Start out in an open area, free from obstacles. Place your dominant foot on the board first, then your second foot and stand straight up. Don’t stand with your knees bent. And don’t bend over. Your board will take you in whichever direction your body is aiming so this is the part where you want to avoid leaning. Don’t be ashamed to ask your friends to lend a hand. Trust us, no one wants a busted or brusied tailbone. Find a comfortable, wide stance where you feel balanced — about shoulder-width apart. Don’t tense up. Relax and focus on standing normally. Lean forward, slowly, to start moving. Don’t lean at the waist, most of the movement should be in your ankles. Remember this is a sensitive machine. Small moves will take you a long way. Turning on a hover board is a lot like everything else. It’s all in the balance and pressure you apply by shifting your weight. Push your right foot forward to turn right and your left foot forward to turn left. Don’t bend at the waist, most of your movement should be in your ankles. Much like moving backwards and forwards, learning to turn starts with small moves. As your skills progress, you’ll be ready to make sharper turns. This is accomplished by pushing the toes of one foot down while simultaneously pressing down with the heel of your other foot. If you hold that position, with enough practice, this is the basic technique you’ll use for one of the first tricks many people learn: spinning in a circle. Again, it’s all about tilt and balance. The self-balancing board will follow your lean. Lean back slowly to bring yourself back to an upright position. If you lean back too far, you’ll start to move in reverse or fall, so be careful. As your tilt decreases, so will your speed. As you slow to a stop, you can step off the back of your board. We cannot stress this enough: Step. Backward. To. Dismount. Your. Board. 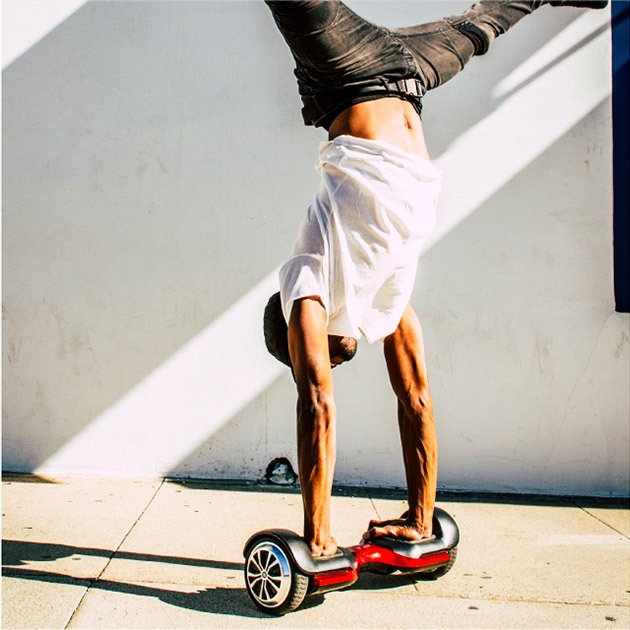 Of the All-Time Biggest Mistakes rookie riders make with their hoverboards, stepping forward to dismount is high on the list. And it’s an easy mistake to make. You’re starting to lose your balance and you instinctively want to make sure you don’t faceplant, so you step forward to “catch” yourself. But stepping forward to dismount is how you end up with a #hoverboardfails attached to your name. When you’re ready to dismount, step backward with your dominant foot and don’t tense your muscles. Once you’ve mastered these basics, you’ll be ready to start learning how to do tricks on your swag. We’ve put together a showcase of a few basic tricks here. These range in difficulty from beginner, to intermediate, to expert.